A Delta aircraft at Newark Liberty International Airport. 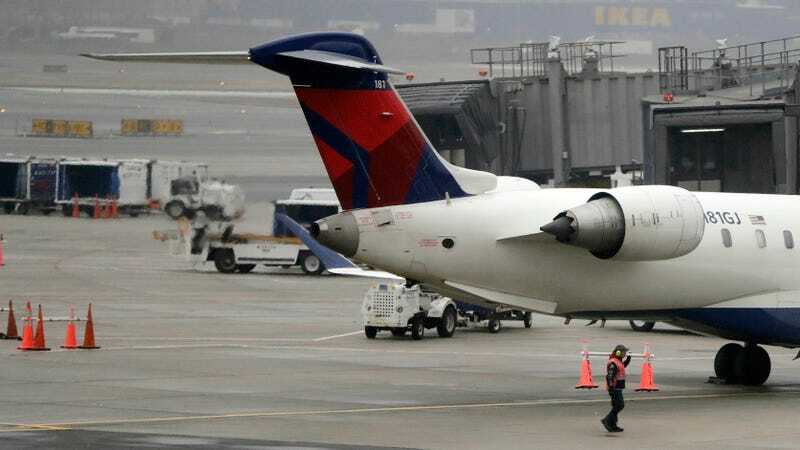 In an incident similar to ones which shut down the UK’s Gatwick Airport before Christmas last month and another at Heathrow in early January, New Jersey’s Newark Liberty International Airport grounded all departing and incoming flights on Tuesday after two pilots reported spotted a drone. Per the New York Times, the pilots saw the drone roughly 3,500 feet over the nearby Teterboro Airport (also in New Jersey), after which “takeoffs from Newark were halted and inbound planes were held in the air.” The Federal Aviation Administration initially reported sightings of two separate drones, but later stated the sightings appeared to be of the same one, according to CNN. Teterboro Airport is patrolled by the Port Authority Police Department and falls within the jurisdiction of the Moonachie Police Department. Asked Tuesday evening about the drone sighting, an officer on duty there said the department was unaware of it. CNN noted in a correction that the network had not “confirmed an actual sighting of a drone in the area.” But if there was indeed an unmanned aerial vehicle flying above Teterboro, 3,500 feet is quite high, to put it mildly. FAA guidelines say pilots should fly a maximum of 400 feet above the ground (or higher if it remains 400 feet above a structure). As Popular Mechanics noted in 2016, drone manufacturing giant DJI’s firmware caps the company’s quadcopters at 1,500 feet. Except under specific circumstances, flying near controlled airspace or major airports is also heavily restricted.